Oxalis [Woodsorrels] sometimes known as ‘false Shamrocks’ occur throughout the world. These annual/perennial plants are relatively resistant to most weed control techniques because they store energy in tubers underground and unless these are fully removed they return with a vengeance so they are not the best loved friends of us gardeners. 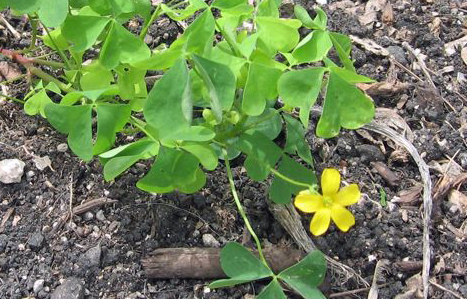 Oxalis Spiralis often found in our gardens and parks is generally perceived and treated as a weed and if not kept in check will quickly cover the ground and self propagate via seed with extreme rapidity. In herbaecous flower borders it is unsightly and for many a gardener one of the causes of a common side effect of our work, backaches and dodgy knees after spending long hours extracting this unwelcome renegade. 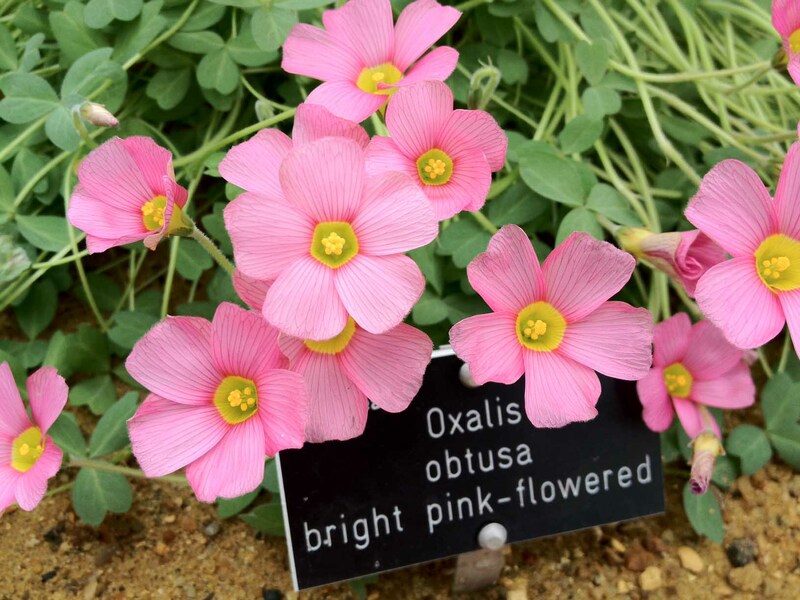 Conversely there are to be found cultivars of Oxalis that wouldn’t look out of place in a rockery at for example RHS Wisley. Oxalis Obtusa is one such specimen that I happened by on a sunny afternoon visit to this world renewed establishment. It truly is the picture of innocence and beauty and in the right place it is just that. Curiously this plant has for many thousands of years been used by us humans as a remedy for coughs , sore throats, fever and nausea and even used by Kiowa Indians as relief from thirst on long trips across the American great plains. The oxalic acid within the leaves gives them a sour but refreshing taste when chewed. As an aside oxalic acid is also found in common foods we eat such as broccoli, rhubarb and grapefruit. So next time you’re out with hand fork in hand doing battle with renegade plants in your garden, remember that someone somewhere loves them and their history is often full of surprises.